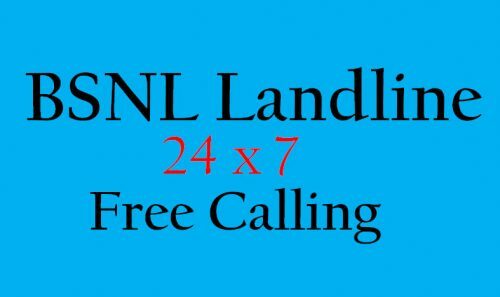 Chandigarh : Now Tricity (Chandigarh, Mohali and Panchkula) Can Enjoy Free Calling anywhere 24 x 7 from BSNL Landline. BSNL introduces Add-on voice packs for offering 24 Hrs. unlimited free calls (Local + STD) to Any Network under Broadband combo plans in Chandigarh SSA of Punjab Telecom Circle only. Add-on packs of Rs.48 p.m. for free 24hrs call within Circle and Rs.98 p.m. for free 24hrs call within whole India. It is applicable w.e.f. 07-09-2016 on promotional basis for a period of 90 days in Chandigarh SSA of Punjab Telecom Circle only. Chandigarh SSA comprises of Areas/Villages/Towns of Chandigarh, Mohali & Panchkula cities. The above add-on voice packs shall be available only to the Broadband users for “retail use” having Broadband combo plan with plan FMC Rs. 700/- & above.